Following yet another storm earlier in the week, we were very lucky with the weather and were blessed with a wonderful afternoon; blue skies and plenty of sun. 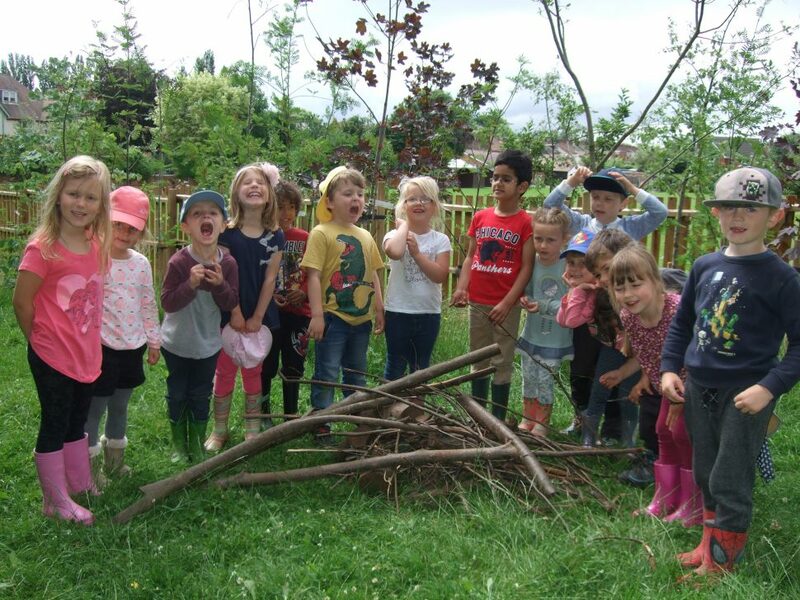 The first week of Forest School for the Year 4s saw the class familiarise themselves with the area and explore how it had changed since their last visit. 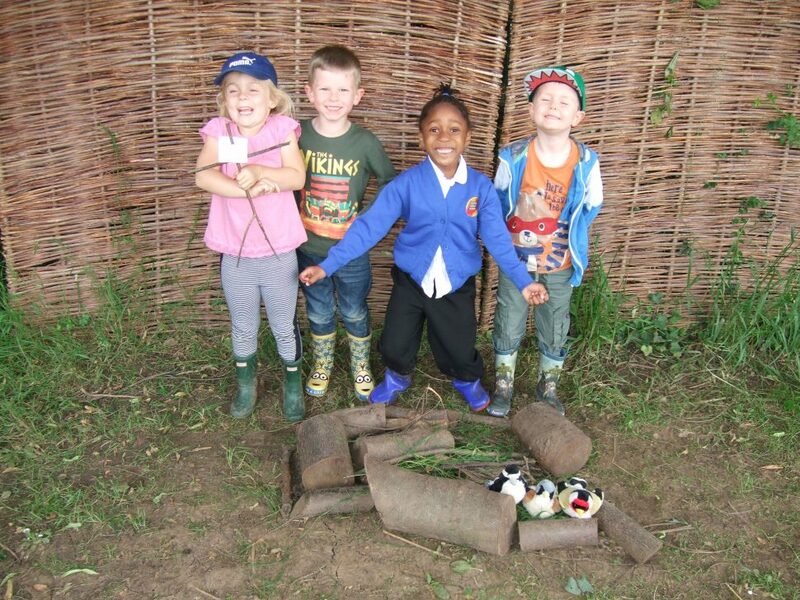 For the first week of Forest Schools the Year 2 children explored the forest school area and as a group we decided on the best rules for the following weeks. When we arrived at Forest School today Explorer Ted was waiting for us around the fire circle. Inside his bag he had a pinecone and a plastic skittle! We talked about where the pinecone came from and compared it to the plastic man made skittle. Kitted out in our waterproof gear, we all set off to Forest School. To get us warmed up we played a lively game called ‘Hey Mister Crocodile’, where children were allowed to cross the river if they were wearing a certain colour or they had to swim across the river, trying not to get caught by Mister Crocodile! After the game we all shook hands and congratulated each other on a good effort. 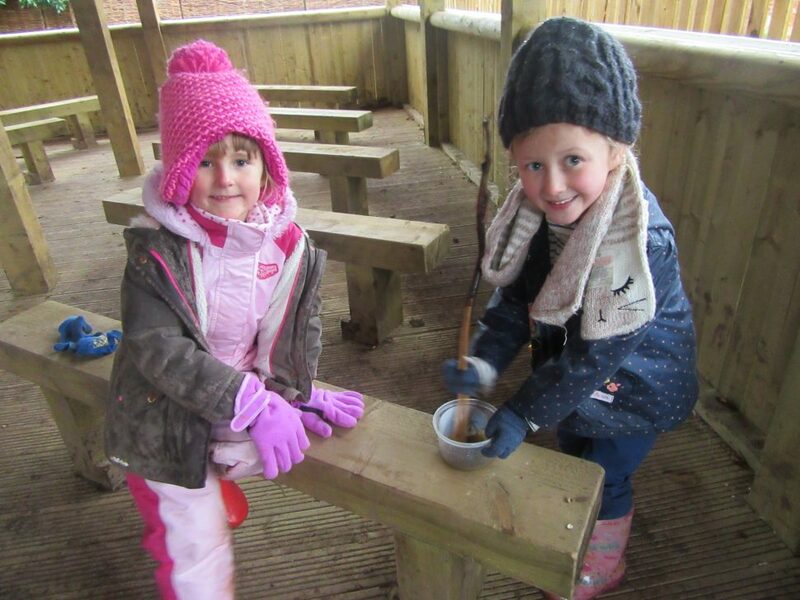 Reception children begin their Forest School journey! 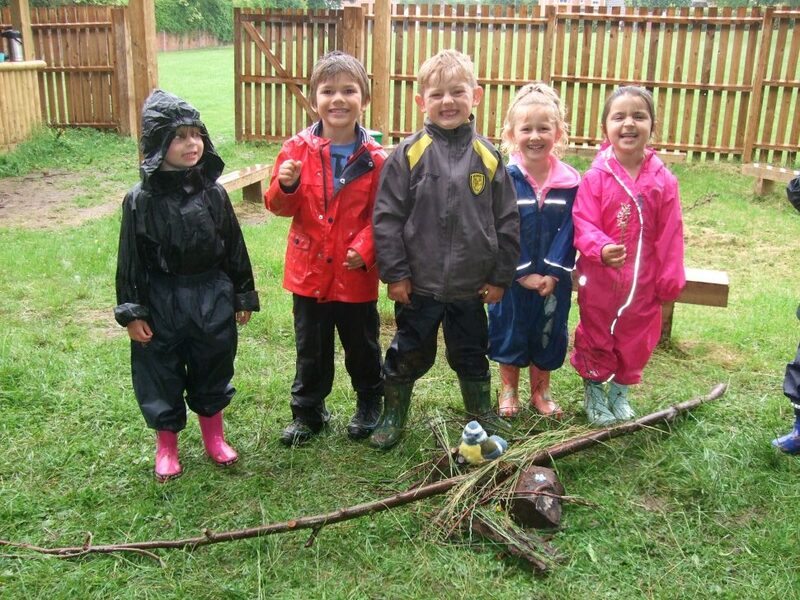 After our cancelled session last week due to a torrential rain storm, the Reception children headed off to Forest School with a skip in their step and full of excitement! This week Year 4 had a very different type of Forest School experience as the weather had changed from topical sunshine to a tropical monsoon! 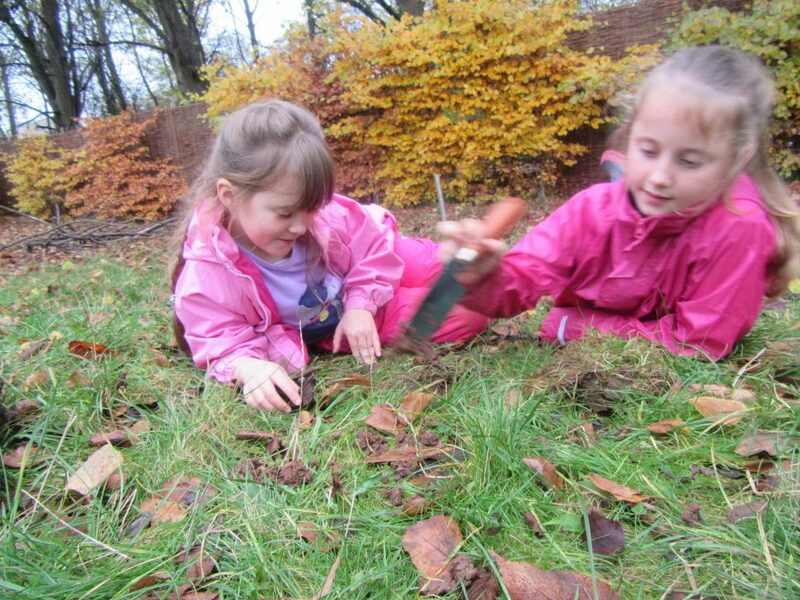 However, Year 4 being the hardy bunch they are ploughed on and had a wonderful time nonetheless. 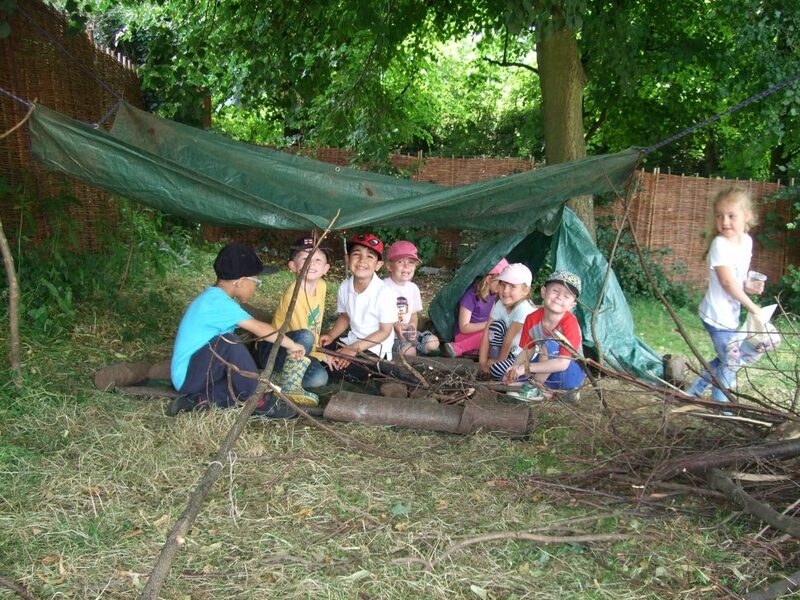 Year 4 began their Forest School experience in fabulous weather and were able to explore the area for the first time. The children were given a tour around the site and then given time to walk around it at their leisure.